‘The longer we sit, the less productive we become’. Staying active is absolutely essential for a healthy lifestyle. 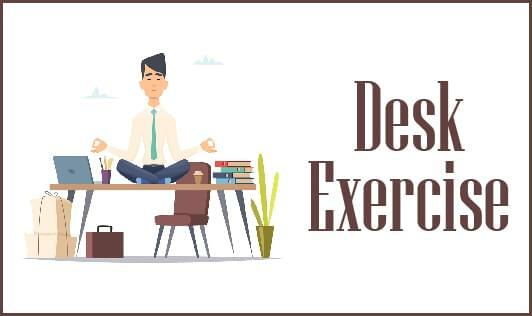 What most of us probably aren’t aware of is that, no matter how active one is, those long periods of sedentary time can be injurious to one’s health in the long run. Stress can take a serious toll on your mental and physical health if you’re not proactively taking steps to combat its harmful effects. Workplace stress relievers are helpful for difficult days, and exercises you can perform at your desk can be a lifesaver. Relaxing for a few minutes before you make that sales call, or calming yourself down before you give an important presentation, could be key to peak performance. 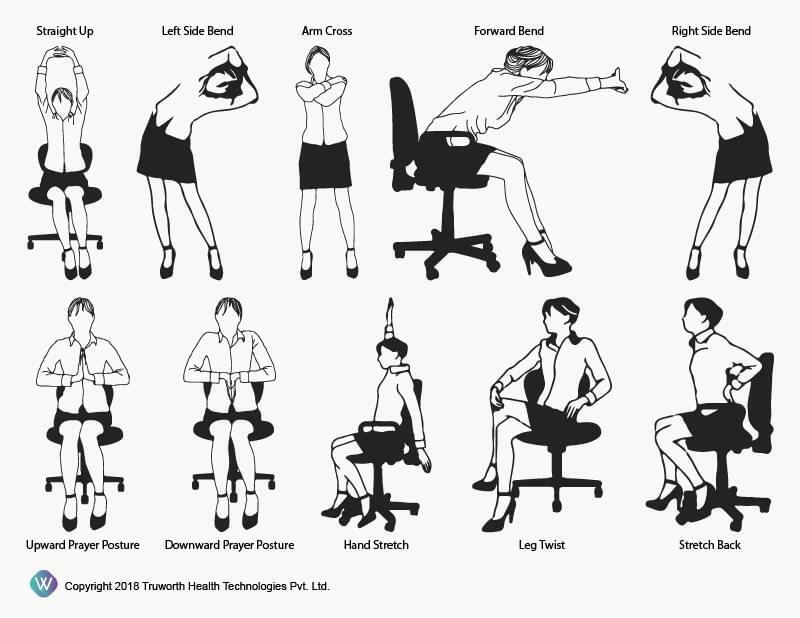 Sitting at the desk or standing at your work station for extended periods of time can cause harm to your body - muscle tension, stiffness and strain in the neck, hand, back, leg etc. Taking regular breaks to stretch major muscle groups can help reduce injury, muscular tension and stiffness. At least once per hour, but more frequently if possible take a 5- minute break for every 30 minutes of continuous work. It's not hard to imagine a circumstance at work in which your shoulders bunch up around your ears, your jaw clenches and your whole upper body feels like one giant knot. It probably happens at least twice a day. For employees who work in front of computers, neck and shoulder pain has become a reality that's just part of the workload. At least once per hour. It will take only 5-10 minutes per hour to do your relaxation. It is very important to know the correct posture. As most of us are accustomed to using the wrong posture all the time but we don’t realize it. Constant usage of the wrong posture can lead you to injuries on your lower back, spine, and neck. 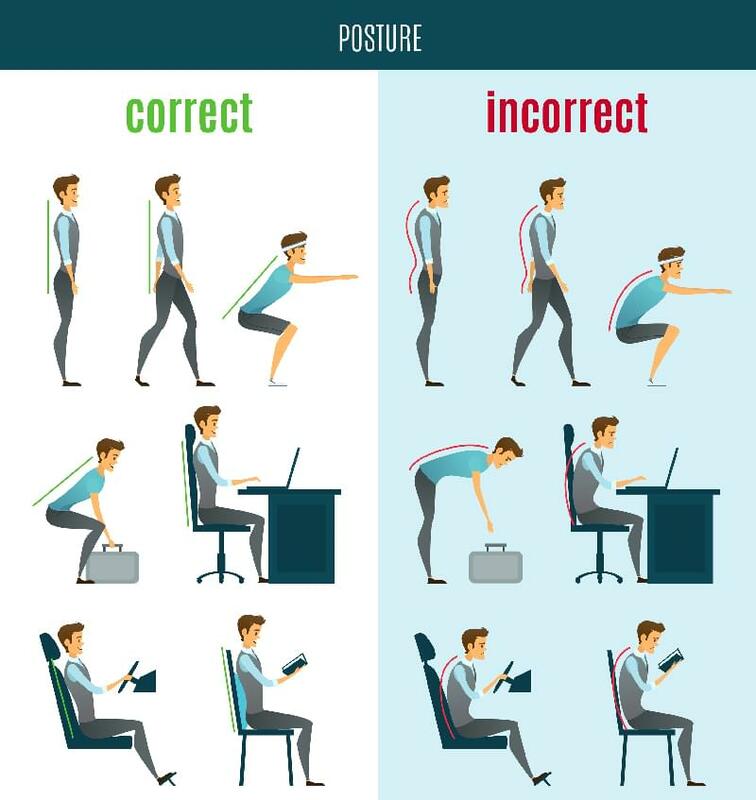 So, here is a glimpse on correct and incorrect posture.